Zac Brown seems like a nice enough fellow. And he isn't Zac Ephron. When is the Best New Artist in music not new at all? At the Grammy Awards, of course. In other words, you don’t really have to be NEW to be eligible for this award. In reality, this award should be named the Best Artist We Finally Heard Of This Year Because We Don’t Read Pitchfork Award, or the Best Artist That Now Has A Viable Corporate Brand. To say they’re “new” just because they have a public identity is a bit goofy. Join us next year when John Cafferty and The Beaver Brown Band are nominated in this category. Now, off we go. The Breakdown: I’ve never heard any actual songs by the Tings Tings. The only song I’ve ever heard them play is a cover version of Altered Image’s “Happy Birthday” on the children’s show “Yo Gabba Gabba.” I’ve heard this song roughly 70,000 times now, because my kid likes it. I literally can’t see or hear the word birthday without having this song pop into my head. You will pay for that, Ting Tings. You will pay dearly. VERDICT: Loser. The Breakdown: Not to be confused with the Zac Efron Band, which ends every concert with a series of dazzling and dramatic hair flips. 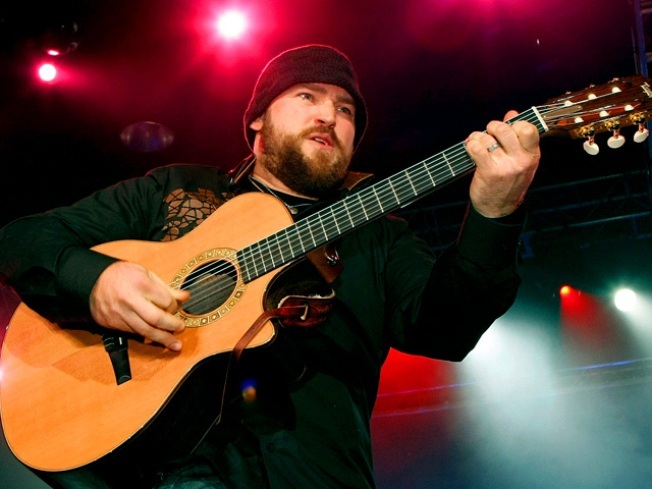 The Zac Brown Band is a country music band. And hey, they seem nice enough, if country music is your sort of thing. If music quality were the deciding factor in this category, MGMT would be your winner. But since when has music quality EVER been a factor in deciding Grammys? The country boys take it with their hugely resistible Rascal Flatts sound. Verdict: WINNER!